The Petite Star Bubble is the first of it's kind as an umbrella fold stroller that can be both world or parent facing! That's right, you can have the simplicity and size of a stroller, yet still be able to see baby and communicate as you walk. 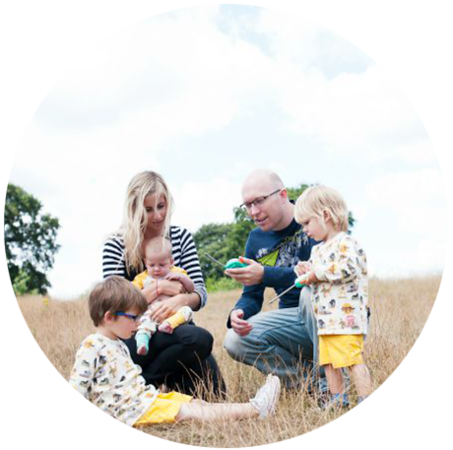 Whether you have a squishy new born or walking talking toddler, you can choose where they look and even lie them completely flat for a snooze. 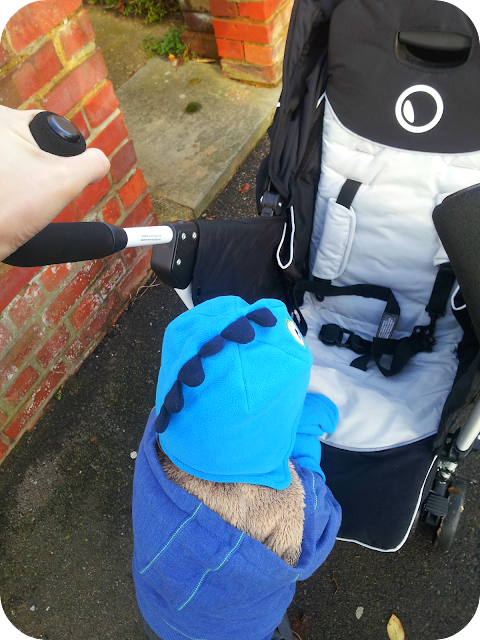 I can wear Squish in a sling, whilst my big boy faces out and explores the world. Should he decide it is time to stretch his little legs though, or get out for a play, I can flip the seat the other way - one handed - and have my newborn lying comfortably flat and facing me. For the times when a double is unnecessary, I think this pushchair will be perfect. The seat is controlled by a handle at the top and really is the easiest thing to change around. There is no removing the seat, like in a travel system to turn it, and the same mechanism decides the recline position too. The hood is made of a thin and soft yet strong material and moves with the chair so there is no need to fiddle with it. This does mean the hood does not feel as sturdy as with some pushchairs and I often find that as I extend it one side comes further than the other but this is easy to rectify. The hood is huge though, and even with a flat sleeping baby it provides them plenty or shade as it comes out further than any other I have tried. Dylan has slept very well in the stroller, and he prefers to face me as he falls asleep. The seat unit is spacious and comes with a headhugger for newborns and strap protectors too. Dylan looked and felt comfortable in there. One thing that I was totally shocked with though is quite how light the pushchair felt. I went to push it up the first curb and completely overcompensated. 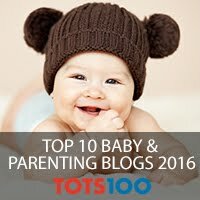 Considering my child weighs over 30lb, it felt like I was pushing a baby again as it effortlessly went up and down curbs and corners and was easy to steer. This is a massive plus point for me as the walk back from town is all uphill and with an ever growing baby in my tummy I get out of breath enough as it is! Having that extra strain taken away means this is my go to buggy when I know there are hills involved! More fun pushing the stroller than sitting in it apparently! The pushchair is as easy to fold as any other stroller, no matter which way the seat is facing and folds just as small as your average stroller (long and thin). As the seat has the benefit of facing either way, it has the downside that the basket is not as easily accessible as with other pushchairs. Petite Star have added zips to both sides of the basket so you can get things in and out without too much fiddling so it can be used, but a raincover takes up most of it. If the child is parent facing, then there is nowhere to hang a nappy bag either, but I don't find this an issue as I usually use only one bag for everything now and quite often wear that myself anyway. Both of these negatives are not even close to putting me off this pushchair though as I am finding it very practical. 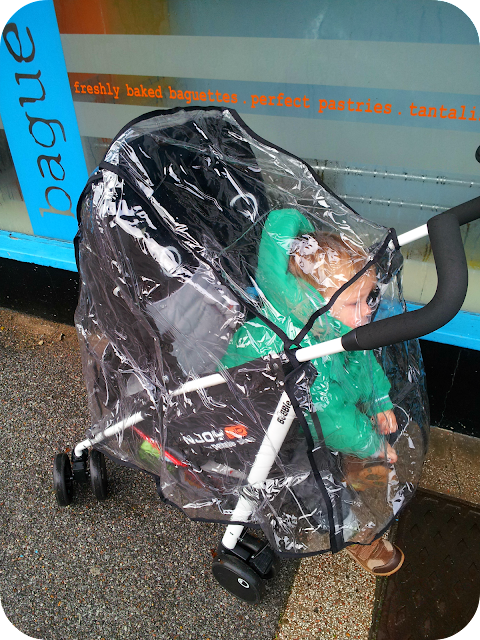 The Bubble comes with a rain-cover which works whichever way the child is facing and feels secure. 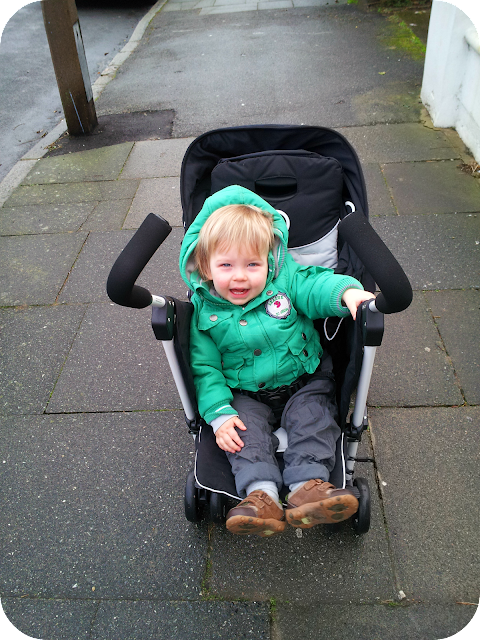 It gives the child lots of space still inside which Dylan prefers to the rain-covers that are closer to his face. It still folds up small and fits well into the basket and is incredibly easy to put on (I never read the instructions and had no issues when it started raining). Please note that Dylan was not strapped in when this photo was taken which is why he is sitting so far forward and playing with the cover. 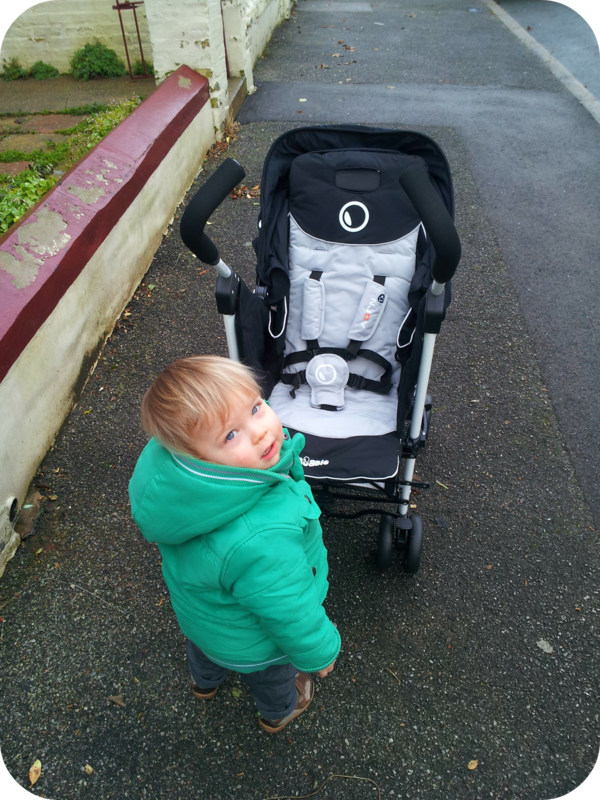 The bloke loves this pushchair too - he likes the look of it and loves being able to chat to Dylan as they go for walks. He likes the handle positioning (something he is very fussy about) and the brakes but would prefer a bigger basket. This stroller is brilliant and if you were on a tight budget or short on space then this is a great option to consider. It could never replace a traditional pushchair with a carrycot for me - especially when I am due a winter baby) but it looks secure and comfortable from newborn until a child is out of a buggy. For me, it is my go-to stroller replacing the more common world facing stroller. this pushchair by far has the best concept and would love to try this one! i think i may have to invest at a later date! hubby will divorce me if i splurge before Christmas! I LOVE my bubble!!!!! it is by far the coolest buggy around! only one down side is that if you have a cosy toes on it doesn't fold up properly... or the hood pops off, but i love it... its brilliant!! 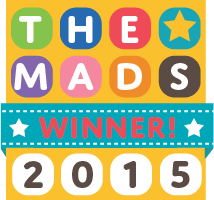 Another great review thank you!